Can you really make savings of up to 36% on your energy bills? It’s understandable to be sceptical about being able to make such savings, but the reality is that these savings are very possible if you have been with the same energy supplier for an extended period of time. Your old contract rates may no longer be available and you may have been moved on to a “deemed contract” which could mean you will no longer be getting the best deal for your business. It’s important to ensure that you do not wait until your contract comes to an end. Although in many cases, you will be moved onto a “deemed contract”, some suppliers will simply move you on to a rolling contract. Unlike domestic customers, you may not have the opportunity to exit the new rolling contract without a financial penalty. So you may have to wait a further 12 months before being able to find a better deal. As so, do not wait until until your contract end date to start looking. Start early to ensure you’re well prepared and ready to switch energy providers if you would like to be able to ensure your business will not be locked into paying more for your gas and/or electricity at the end of your current energy contract. Has your business recently moved into a new premises? If your business has recently or intends to move into a new premises and begins to consume gas and/or electricity, the existing supplier could potentially place you onto a “deemed contract” in order to provide you with a gas and/or electricity supply. It’s important to ensure that you find a suitable energy contract for your business as your new energy supplier will be under no obligation to provide you with their best deals, whilst you remain on their “deemed contract”. On a “deemed contract”? What can you do now? According to Ofgem, your supplier must not simply allow you to remain on a “deemed contract” at the end of your current contract deal. They must take all reasonable steps to ensure you are aware of any other contracts available to your business through your current supplier. They must give you reasonable advanced notice of the end date of your contract and inform you what will happen in due course. Although these offers may help your business save money and of course the hassle of not having to switch supplier, they’re often not the most competitive deals in the market, but they will be a better alternative to the energy prices you’re currently paying. Before accepting your supplier’s offer, stay with them and change contracts to a better deal. But be sure to check if there is a “cooling off” period if you change your mind. Your current business energy supplier is under no obligation to provide this to you, so check your contract to see if they will allow you to cancel a contract after agreeing to a new energy contract. If there is no “cooling off” period, you may not be able to change without financial penalty once you commit to your new energy contract. Is switching energy supplier difficult to do? Your current energy supplier should not make it difficult for you to change supplier once you are out of contract. They are also obligated to let you know prior to the end of your contract when your contract will end and what will happen after the end of your contract. If you plan to switch suppliers, read your current energy contract thoroughly to ensure that your current supplier’s contract isn’t a “roll-over contract”. If your contract is a roll-over contract and you do not let your current supplier know you intend to leave, it then limits your ability to make your switch to a new energy supplier a smooth one. If you need help and advice with understanding your current contract and would like to explore your options with a view to switching supplier, our friendly team of knowledgeable energy experts will be able to guide you through the options available to you. Simply call us on 0800 9777 000 or fill in the form above and we can help and advise you on your possible options. If your business is considered to be a micro business, energy suppliers are required to put the end date and notice period on all bills for fixed-term contracts. Ofgem also requires all smaller businesses to notify their suppliers of their intention to switch at the end of their current deal, any time before the notice period. It’s always advisable to be proactive and check what your current supplier will do with your energy contract and billing after your contract end date, as the best deals are often found when comparing and switching supplier. For energy contracts which started on or after 30 April 2015, Ofgem have reduced the maximum notice period for terminating a micro business contract from 90 to 30 days. Smaller businesses are also required to be told by their current energy supplier around 60 days before a fixed-term ends how much energy they use each year, and provide them with details on how the price of their current deal compares with the new prices. With this information available, it should make it easier for you to be able to compare the deals and prices provided by other suppliers when the current contract ends. 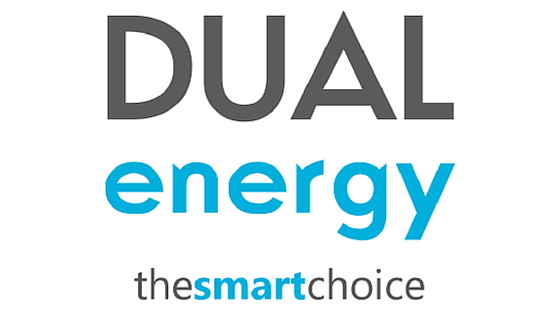 Our energy experts at Exchange Utility can help you by comparing the energy suppliers we work with to find you a better deal by either calling us on 0800 9777 000 or by filling in the form above. Below, you will find some of the key terms used when talking about your energy contracts to help you better understand more about your energy contracts and energy bills. The amount you are billed daily or monthly by your gas and/or electricity supplier for maintenance and other costs, such as maintaining connections to the power and/or gas networks. When you switch your domestic energy supplier, you receive a cooling-off period which allows you to change your mind about switching suppliers without penalties. But the same does not always apply to a business energy contact as the rules for businesses and domestics are different. Therefore, you should always attempt to find a suitable deal before the end of your current contract to ensure you are getting the best deal. To speak to a knowledgeable energy advisor about your options, call us on 0800 9777 000 or fill in the form above. If you have recently moved into a new business premises without agreeing a contract with a supplier or your contract has come to an end without rolling over, you may be on what is known as a “deemed contract” for your gas and/or electricity supply. This means that you may not be getting the best deal, so it would be advisable to seek out a new energy supplier. Your energy supplier will charge you a fixed price per kWh for your gas and/or electricity which will not change for the set period of time set out in your energy contract(s). If your energy supplier has provided you with a fixed term tariff, this will have a fixed end date which you should be made aware of before agreeing to the energy contract. Details of any fixed term tariff your business energy is on should be listed within your energy contract. Some suppliers are now able to offer businesses a more environmentally friendly energy supply by providing electricity and gas from renewable sources. These tariffs are known as green tariffs allowing businesses to further improve their own green credentials and environmental impact. A kilowatt-hour is a unit of measurement which is used to measure the energy consumption of businesses using both electricity and gas. Whether your businesses uses electricity or gas, you will be supplied with a meter in order to determine how much gas and/or electricity your business is using. A meter reading will allow the energy supplier to determine how much your business has consumed and accuratley bill you for your current usage. According to the fsb.org.uk, there were 5.7 million private businesses in the UK at the start of 2017, with microbusiness.ac.uk suggesting that there were 5.15 million micro businesses in the UK in 2015. Here at Exchange Utility, we help businesses of all sizes to ensure you’re getting the possible deal from your energy supplier. Simply call our knowledgeable energy experts on 0800 9777 000 or fill in the form above to get started. A megawatt-hour is a unit of measurement which is equal to 1000 kWh. Outside of the Big Six energy suppliers, there are many more smaller suppliers who do not hold a significant market share at this time. But this is increasing year on year as more and more domestic and business owners are finding the deals offered outside of Big Six to be more favourable. The government has set in place a requirement for all energy companies to install smart meters for their domestic and small business customers by the end of 2020. One of the main differences between one of the older, traditional energy meters and a smart meter will be in how the meter is read by the energy companies. Smart meters, unlike the older, traditional meters will communicate directly with your energy supplier in near real-time. This should mean you’re only ever going to be billed and pay for the energy you use and cut down on meter reading submission errors. Older meters rely on one of three methods; an estimated reading, a customer’s reading or somebody physically visiting your premises to read the meter. Along with the unit price you pay on the amount of energy your business consumes, you will also be billed a standing charge. This is a fixed daily or monthly amount that you pay your gas and/or electricity supplier for maintenance and other costs, such as maintaining your connection to the gas and/or power network. The Big Six is a term widely used to describe the biggest UK energy companies, supplying both gas and electricity to domestic and business customers. These days, the Big Six energy companies in the UK are commonly identified as follows; British Gas, EDF Energy, E.ON, Npower, Scottish Power and SSE. As of Q1 2018, they accounted for 77% of the Domestic Gas supply market share, down from nearly 100% at the beginning of Q1 2011 and 78% of the Domestic Electricity supply market share, down from nearly 100% at the beginning of Q1 2011. The market share for small suppliers (defined as those who have individual market shares below 1% in either gas or electricity) rose to 10% market share between Q1 2017 and Q1 2018. That’s a 4% increase within 12 months showing that increased competition amongst suppliers is helping to give both domestic customers and business customers even more reason to shop around for the best deals. A unit of energy is classified as being a kilowatt (1000-watts) of power being used for one hour. This is equivalent to 1kw electric heater being used for one hour, or 25 individual 40-watt light bulbs being left on for one hour. A unit rate is the contractual amount being charged per unit of gas and/or electricity being consumed according to the gas and/or electricity meter. A variable tariff allows the energy supplier to alter the standing charge and/or unit rate(s) without needing to wait until the end of your energy contract. Whether you have more questions you’d like answering about your businesses energy bills, or you’re ready to find out for yourself if your business could be making significant savings on your energy bills, give our friendly and knowledgeable business energy team a call now on 0800 9777 000 or alternatively, fill in the form above.